When painting and decorating, you will need to protect your surfaces. Sydenhams stock different items, to ensure that your home is protected, before starting a project. Please see below, for our products. If you don't see what you are looking for, then please call into branch. Being an independent merchant, Sydenhams have the ability to source and supply the full range of surface protection at competitive prices. 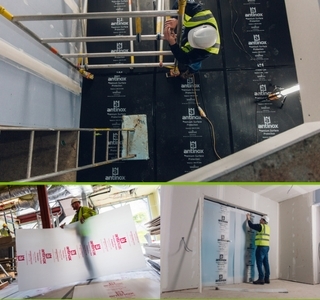 Antinox Protection Boards are often used as a a plastic floor protection board, but they are also used to protect doors, walls, stairs, floors, columns and other building features. Our buffalo boards are tough, slip-resistant birch plywood suitable to be used on a wide range of surfaces. This flooring is widely used for commercial vehicle flooring, although it can be used on many other surfaces such as boats, football stands, playground areas etc. Plus, it has good chemical and weather resistance making it an ideal choice for flooring. 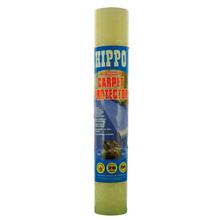 Our Carpet protector is supplied by Tembe. This is self adhesive protection for carpets and flooring, when painting, decorating, or moving house!